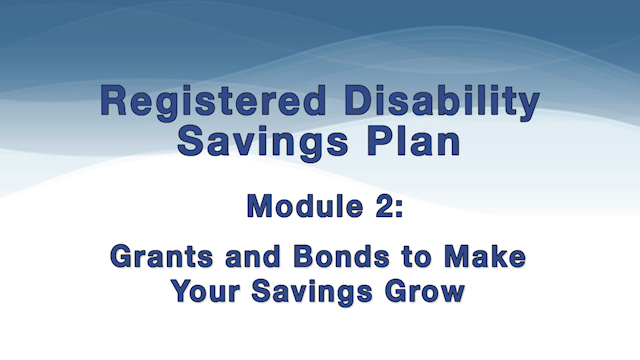 Contributions to RDSPs may be supplemented by a Canada Disability Savings Grant (Maximum $70,000), the Government of Canada provides matching grants depending on the amount contributed and the beneficiary's family income and a Canada Disability Savings Bond (Maximum $20,000) to low-income and modest-income Canadians. No contributions are required to receive the bond. Grants and bonds are great incentive for disabled persons and their families. The beneficiary of the RDSP is the person who will receive the money in the future. 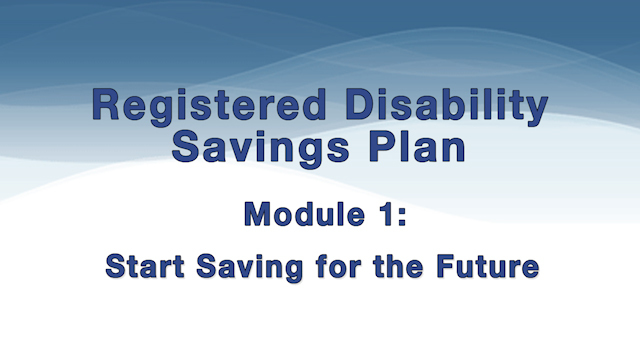 The purpose of the Government is to encourage long term savings through Registered Disability Savings Plans (RDSPs) to help people with severe and prolonged disabilities and their families save for the future. The following video by Employment and Social Development Canada describes who can open an RDSP and benefit from it and who can make contributions, helping Canadians living with disabilities and their families become more financially secure. 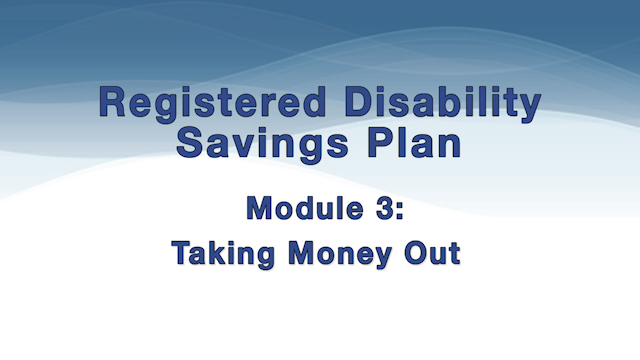 An RDSP is a long-term savings plan which has specific conditions about taking money out. The following video explains who can withdraw funds and when they can be withdrawn. It also tells you what happens when there are changes regarding a beneficiary. Important: Individuals with an RDSP don’t qualify for the government grants or bonds if they are over 49 years of age. So eligible person who is over 40 may lose government grants or bonds if he waited long to open RDSP. Please note to qualify for Grants and Bonds beneficiary's age should be 49 or less. Anyone can contribute to an RDSP with the written permission of the plan holder. RDSP will not affect your other provincial government disability benefits. maximum annual Canada Disability Savings Grant and Canada Disability Savings Bond. If anyone have a low income, the government will still save for them.